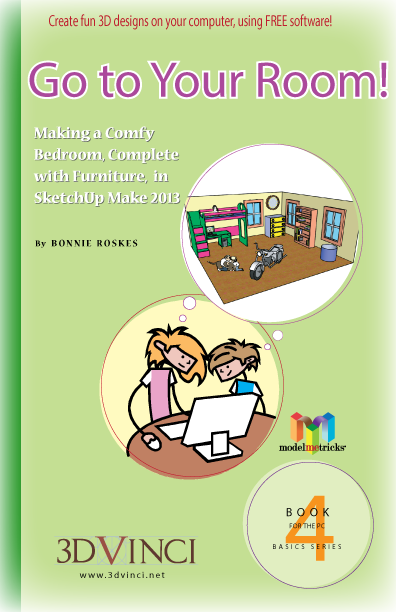 This fourth book of the ModelMetricks Basics series will show you how to make a bedroom with walls and windows, containing a dresser, bookcase, clock, loft bed, and computer. You’ll learn how (and why) to use two of SketchUp’s most important tools: groups and components. Plus you’ll learn how to find and download models from the very important 3D Warehouse. View chapter details. Printable PDF format, 8.5" x 11", 108 pages; download info will be sent within one business day.